Happy New Year! The year 2016 has finally ended, and we want to congratulate everyone on 2017 coming to its reign. With that said, we present you the final chapter of the Game of Semalt event. Do not miss the chance to get astonishing discounts on all our services! The year is coming to an end. The holiday mood is in the air. But do not lose your guard, your rivals never do. Those, who never quit their watch, will be awarded. Read more in the new chapter of the Game of Semalt event. Happy holidays and festive greetings to you! We'd like to make your celebration more enjoyable and, thus, we've prepared a special gift for you within the Game of Semalt event. The Game of Semalt continues. Read the words of wisdom from the sharpest-minded man and see what is waiting for you here. Does the title intrigue you? :-) I hope it does as we launch an extraordinary event for Semalt users. Check what we have got for you. How was your weekend? We hope that it was awesome! We've decided to make your start of this week exceptional and extended discounts for one more day. Let the Black Friday begin! We've rolled out major discounts on our products and services. This article covers all the details. What are your plans for this weekend? Hope you are going to spend it great! And be sure to visit your Semalt dashboard. We've prepared something huge for you! What is the so-called Google Sandbox and how does it affect web entities? What measures can be taken to minimize the impact? Get your answers in this article. We are so glad to introduce you the upgraded service that can’t help but encourage as many people as we can to have this amazing experience! 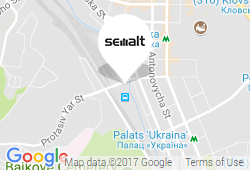 We work hard to ensure that our clients get the best out of Semalt services. A large team of SEO specialists and developers create new solutions and improve the existing ones. And now, we are ready to announce major changes in the most affordable search optimization techniques on the market. Enter AutoSEO 2.0 - the system that will change your view on SEO! We do not ever stop improving the experience of our users. Even a small idea can bring a significant enhancement when properly implemented. For almost a year we have been looking for new ways to provide AutoSEO subscribers with exceptional usability. And now, the great news is ahead! AutoSEO service provides an amazing boost of website positions in Google SERP of chosen keywords. There are a lot of examples of incredible results, which were achieved by our clients in the shortest terms. We thought that you would be interested to know how and why some of them get to the first page of the search results paid only $0.99 for the first month of use.